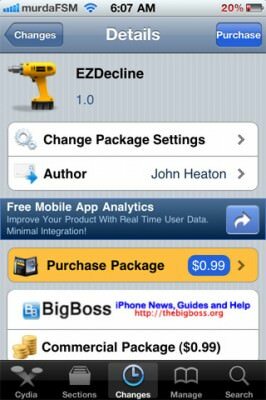 EZDecline: Decline/Answer A Phone Call, Even When The iPhone Is Asleep/Locked - iPhone.MY - Daily News On Mac, iPhone, iPads, iPods and more! New day, new tweak in Cydia: EZDecline. Tired of getting a phone call in a bad time: a meeting, when you’re asleep, when you’re making sweet, sweet… banana bread and all the iOS gives your is ‘Slide to Answer’ ? It can be extremely annoying to wake up to a call, disoriented, not knowing what’s going on, just wanting to go back to sleep, but your iPhone won’t let you decline the call ( at least easily ). EZDecline fixes all that seamlessly. 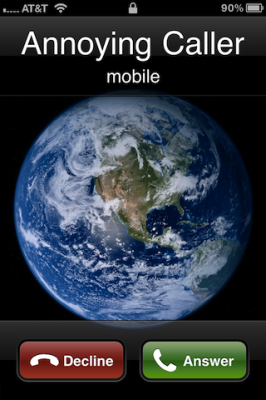 It restores the Accept/Decline button from a call EVEN when your phone is currently asleep/locked . It works on all iPhones, and optimized for iPhone4′s retina display. It uses the system’s localized strings for the button titles, so you don’t have to worry about it , if you’re a themer or string changer. Malaysia iPad 2 to launch this weekend!